This is a photo of Vital DeDonder with his children. The youngest child, Francis Joseph (Francois Philippe), was born November 8, 1883. 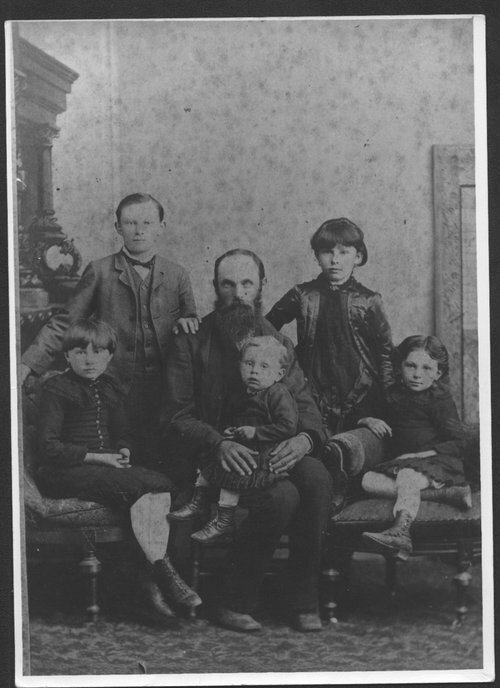 He is sitting on his father's lap. The other children are Achille Philippe, Clemence Jeanne, Marie Leonie, and Irma Hortense.